Junaid Jamshed is the leading and well known artist, fashion designer, singer and religious scholar. He used to be a pop singer but he left that department and she started getting education of Islam and turned to be religious preacher. He also started his own clothing line. 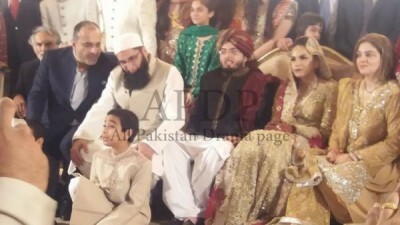 His elder son, Taimoor got married in a grand wedding ceremony. The pictures of the marriage of his older son are provided here and the viewers can watch these pictures which are taken from his wedding ceremony.